At Heavy Help, we are Commercial Office Moving Experts. We know how important it is for a business of any size not to lose valuable time and productivity during an office move. We have created a commercial office moving division that works nights and weekends to lessen the disruption to your business and office personnel. There is no additional charge or increase in rates for this service. Our Team will work closely with your staff to ensure your move goes as smoothly as possible. Preparation before the move ever begins is the most important part of any office move. Heavy Help will assist you in creating a timeline for your move that includes box and supply delivery, labeling boxes and furniture, walk thru of existing and future office space. Call on of our staff today and let us help you execute your successful office move. At Heavy Help, we are Residential Moving Experts. We offer full service moving or we can just move the “big stuff”. We also can provide packing services. Many clients will have us pack their entire home or sometimes just certain rooms like the kitchen that homeowners do not have time to do themselves. The most important aspect of any move is the pre-move preparation. Heavy Help can assist you in creating a pre-move plan that includes packing, labeling and shrink wrapping of furniture. As with all of our moves the shrink wrapping of your furniture is free of charge. We look forward to working with you. Call Heavy Help today! Heavy Help is fully licensed and insured to move your household to any point in the USA. We move your valuables on dedicated trucks so your items will not be shipped with other customer’s items. Packing services available. 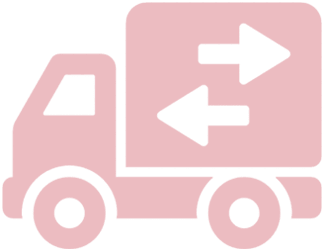 Call today for special moving rates to Texas, Kansas, Arkansas, Colorado, Missouri, Illinois, Tennessee, Mississippi, Alabama, Georgia, Louisiana and Florida. Need help with relocation your piano? Heavy Help® is here for you. We move your pianos across town, across the state or just to the other side of your room. Spinet to upright to grand, we move every piano with finesse. Redoing your floors? Want to move the furniture? Purchased something online and it was delivered to your garage or even worse the curb? Heavy Help® is here to help. We move your furniture to the garage, pod or to another room while your floors are being redone. We also come to your home and move your purchased product inside for you. Over the years, we have loaded thousands of rental trucks and pods. We provide you with the shrink-wrap and all the equipment needed to load your truck or pod. One of the most trusted names among Tulsa moving companies, Heavy Help® delivers your items and set them upon request. Allow us to come to you and move your stuff for you. Our pickup and delivery service are great value for money.